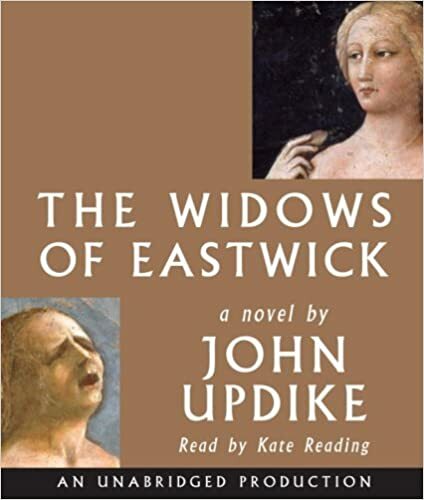 More than three decades have passed since the events described in John Updike’s The Witches of Eastwick. The three divorcées–Alexandra, Jane, and Sukie–have left town, remarried, and become widows. They cope with their grief and solitude as widows do: they travel the world, to such foreign lands as Canada, Egypt, and China, and renew old acquaintance. Why not, Sukie and Jane ask Alexandra, go back to Eastwick for the summer? The old Rhode Island seaside town, where they indulged in wicked mischief under the influence of the diabolical Darryl Van Horne, is still magical for them. Now Darryl is gone, and their lovers of the time have aged or died, but enchantment remains in the familiar streets and scenery of the village, where they enjoyed their lusty primes as free and empowered women. And, among the local citizenry, there are still those who remember them, and wish them ill. How they cope with the lingering traces of their evil deeds, the shocks of a mysterious counterspell, and the advancing inroads of old age, form the burden of Updike’s delightful, ominous sequel.